If you, or someone you know, has tried starting a new business, you’ll understand that it’s *really* hard to get things going. One minute you’re full of inspiration and nothing can stop you… and the next minute, you’re stopped. You’re overcome by distractions, uncertainty, roadblocks and self-doubts. In our last article, we discussed all the reasons it’s so hard to get a new business started. There are various different tactics to overcome each of these challenges, but the core problem is that there’s no momentum. There’s nothing “pulling” your business forward and everything working against you to get it started. It’s really hard to create something where there was nothing before. A new business needs momentum to will it into existence! By my thinking, there are two ways to create momentum… and you should do at least one, if not both of these when you’re starting a new business. Be prepared though, neither of them are likely to seem appealing. You’ll probably shake your head and think that you don’t need this type of thing. But trust me you do. If you put one of these things in place, you’ll increase your odds of launching dramatically. And if you do both, it’s practically guaranteed you’ll get that business out into the world. So how do you create momentum for something that doesn’t yet exist? Lots of people get confused about what it really means to start a new business. Is it the day you register a legal entity, when you order your business cards, or when your website goes live? No, none of these things. You have a business once you have customers. So, the sooner you can get to that point, the better (and yes, this can definitely be done before you do some of those other things). Once you have customers, you have someone using your product or service. Your idea is validated, but more importantly, they are relying on you not to let them down. You now have an obligation to provide the product or service you’ve promised. 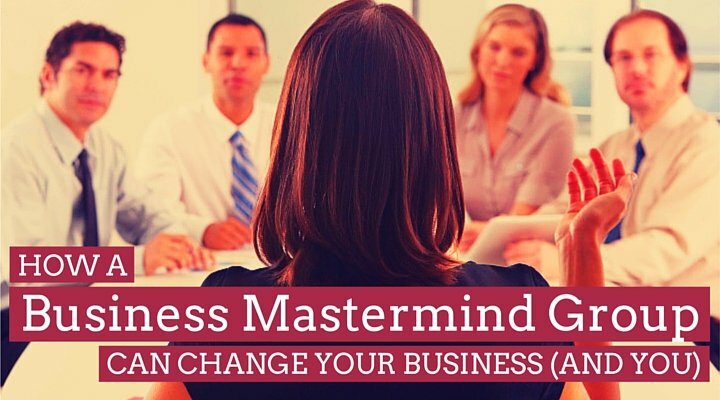 This obligation creates momentum for your new business that will pull you into action. Suddenly, you’ve got customers to answer to! If you can’t actually start selling your product or service just yet, pre-selling is a great way to get momentum through customer demand. The guys at The Foundation are experts in this but basically, you should talk to potential customers and show them what you’re planning on creating. Get them to pre-buy your product or service before it’s actually ready. Keep them excited and anticipating your new business by letting them know how it’s progressing. Give them a date that you’ll have it ready for use. Another way to get yourself to push through all the barriers and get this new business into the world is to use peer pressure. My favorite way to create this is through a Mastermind Group, but you can also do this less formally. Basically, you need to setup a system where you’re regularly promising you’ll get the next thing done to get your business off the ground. It should be a promise you make to a person (or people) you respect and don’t want to disappoint. This could be as simple as arranging to meet a friend every 2 weeks and updating them on what you’ve done and what you’ll do next. Or it could also be having a business coach that you report into regularly. Or you could develop some other system to suit your needs. If you’ve been paying attention, you’ll notice that the key ingredient here is accountability. Did you think starting your own business would mean that you don’t have anyone to answer to? The problem with that idea is that most of us don’t get much done without having obligations to other people. Although you may not like it, for most people, it’s a necessary ingredient for starting a business. Thing about a time when you worked for someone else. You probably got an awful lot done because of the accountability you had to your boss, colleagues and maybe customers. If you’ve ever had a sports club or group that you met for exercise, you probably found that you didn’t miss too many sessions. But when we’re left to our own devices, we often don’t achieve the things we set out to do. Like it or not, accountability works. So rather than ignore this truth, work with it by employing one of these strategies when starting your new business. With an accountability system in place, you’re setting yourself up to keep taking small actions to bring your business into the world. Before you know it, there’s a momentum pulling your business forward. PS – Interested In Joining An Accountability Group? I’m thinking of starting an accountability group to help people starting a new business or people wanting to take their businesses to the next level. It would be a place to hold each other to the actions that will move us closer to our goals. Probably a Facebook Group of some kind. Let me know if you’re interested in being part of something like this by leaving a comment here on the Facebook page here.